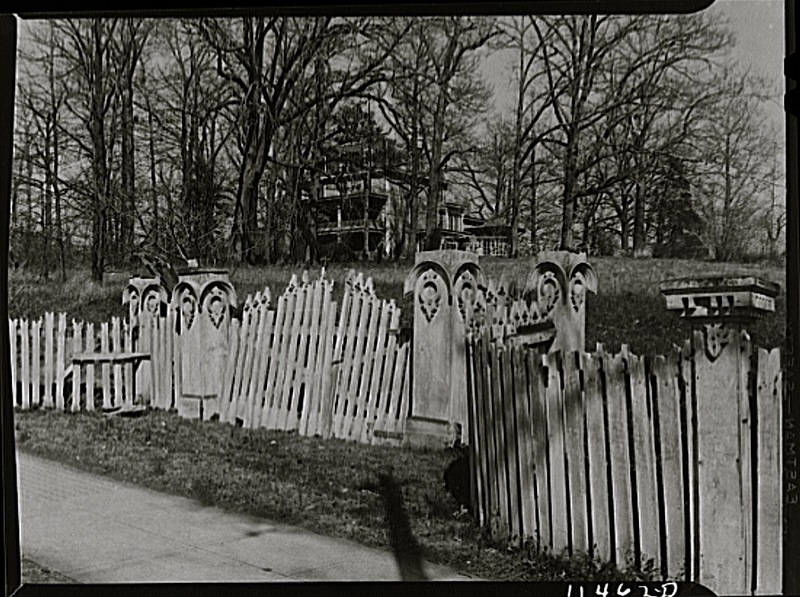 “Washington, D.C., gateway to an old house on Georgia Avenue, N.W.,” March 1942, by John Ferrell, via Library of Congress Prints and Photographs Division. That was some gate, although it was in pretty bad shape at the time of the photo (click the image to get a larger view). I think the style is gothic. And some house too. Does anyone know if it’s still standing? I live fairly close to Georgia Ave. & I can’t remember ever seeing this house. I wonder if it’s been torn down. If so, what a shame. I can’t think of anything like it in that area.